Models of Capital Tractors and Machinery - Capital Tractors & Machinery service and repair most makes and models of Tractors and Farm Machinery. Capital Tractors & Machinery also offer an extensive mobile and on farm mechanical service. Capital Tractors have an extensive range of new horticultural, and farm machinery, including; tractors, wheeloaders, mowers/mulchers, fert spreaders, Zero Turn Mowers and more!. 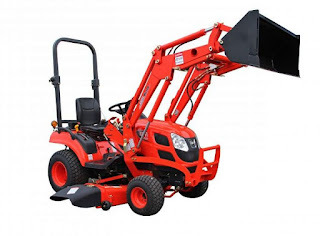 The following is types and models of tractor and machinery offered by Capital Tractors. Hustler’s all new Raptor is designed to the highest of standards and is poised to lead the zero-turn market in the entry level category, delivering the best-in-class overall value versus the competition. The Raptor is powered by an industry preferred Kawasaki engine and is built with a fabricated steel deck, setting it apart from all other products in its market. The Raptor also features Hustler’s patented SmoothTrak Steering and its Automated Park Brake System. 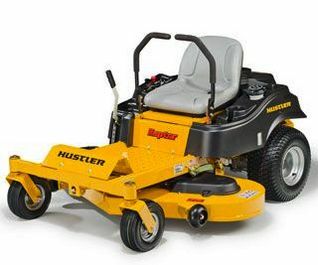 The Raptor is built with the usual great quality Hustler has been committed to for almost fifty years and is backed by Hustler’s industry leading three-year warranty* and unmatched customer care. Heavy Duty Fabricated Steel Decks, More Durable. Kawasaki FR Premium Engines - 3yr Warranty. Fabricated Heavy Duty Steel Frame - Best in Category. SmoothTrak Steering Patented Automatic Park Brake System, Built into Levers. Heavy Duty Front Castor Forks with Industrial Steel Ball Bearings. 18" Drive Tyres 11" Front Castor Tyres 3 gal. Fuel Capacity 6 mph FOR MORE DETAIL OR TO SEE THE FULL RANGE PLEASE SEE 'OUR BRANDS' AT THE TOP OF THE PAGE. 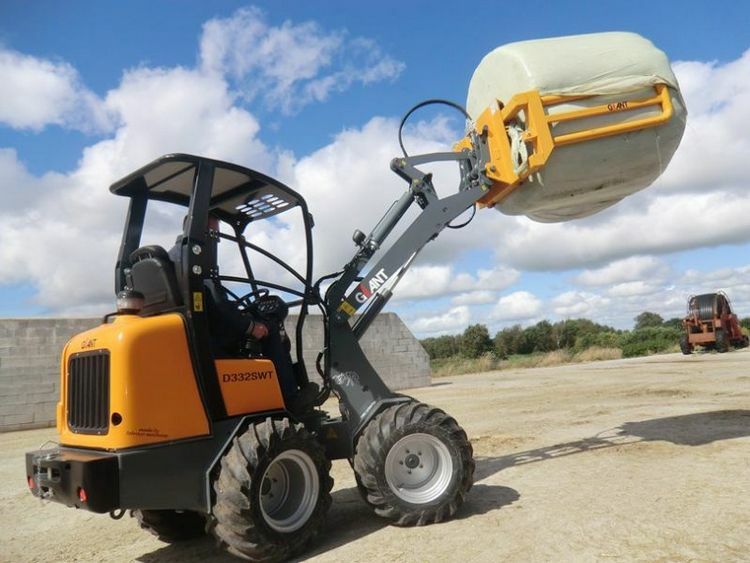 Giant Wheel Loader D332SWT X-tra The X-tra series range are characterized by their extra low front frame and thus a lower center of gravity of the load in comparison to the machine, resulting in a significantly higher tipping load. An additional advantage is the drivers excellent view on his/her work which improves work safety. The D332SWT X-tra has a 33 hp diesel engine and is powered by 4 heavy Poclain wheel motors. These wheel motors are making a differential lock possible on this compact wheel loader. The differential lock can be enabled through a push button on the joystick. The wheel motors also ensure a minimal friction on the surface. This makes GIANT wheel loaders with wheel motors suitable to drive on, for example new pavement. Image is of standard D332SWT model. Pricing for Wheel Loader only, all attachments are extra. $12990+GST NTP With the increasing number of subdivisions this is the perfect tractor for home owners with property sizes of up to 5 acres or possibly more. The KIOTI CS2610 has been specially designed for home owners that do their own yard work anything from mowing to mulching or digging with its optional backhoe, front end loader or mower. Standard Features: Power Steering Rear PTO Mid PTO Headlights Price is for Tractor only, all accessories are extra; This includes Front and Loader and mid mounted mower. SAME FRUTTETO CLASSIC 80 ORCHARDISED;SUPER LOW SEAT! SAME Frutteto Orchard Classic 80(80HP) Super low seat height; only 750mm high! 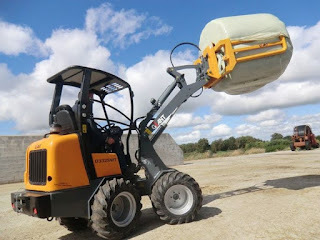 Created for specialist applications,and 'Orchardised' to our exacting specifications, the SAME Frutteto Classic 80 is a functional tractor satisfying the need for practicality and simplicity, ideal for Kiwifruit and Avocado orchards. Call to speak to our Sales staff about pricing and arrange a demo today! 0 Response to "Models of Capital Tractors and Machinery"